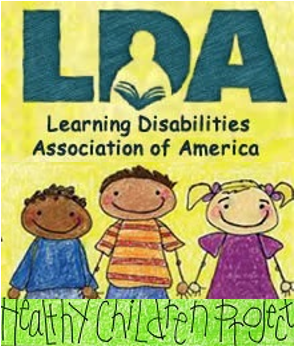 One of the main reasons individuals join LDA is its strong advocacy for the health, safety, and education of children. When LDA learned of the dire situation with the water supply in Flint, Michigan, and the serious effects of high lead levels on children, a workgroup of LDA members sprang into action to support families in that community. Members of the LDA Public Policy Committee and the Professional Advisory Board (PAB) joined together to compose a letter that has been sent to national news media including the New York Times, Washington Post, and the Rachel Maddow Show (MSNBC), and local and State media outlets in Michigan such as the Detroit Free Press and the Flint Journal. Members in Michigan also reached out to the Michigan Department of Education and are working with the Michigan Healthy Children Project. Maureen Swanson, director of the LDA Healthy Children Project, and PAB chair neuropsychologist Jerry Schultz provided expert information to the workgroup on the effects of high lead levels on children’s growth and development. The letter makes clear the immediate priority must be testing and treating children for lead poisoning, but notes also these actions are just first steps in addressing a problem of this magnitude. Evidence clearly links high lead levels with increased incidence of learning disabilities and/or neurological impairments. Therefore, a long-term plan must be in place to prevent this type of catastrophe from being repeated elsewhere. Periodic assessment of all two to four year olds testing positive for lead poisoning for early warning signs of learning disabilities and/or neurological impairments, and if necessary, providing early intervention services at school and at home. Comprehensive evaluation of all seven-year-olds testing positive for lead poisoning, including a cognitive assessment to identify specific problem areas. Assignment of a special education advocate or parent trainer to work with families of all children testing positive for lead poisoning to ensure appropriate services from the Flint school district. Recognition by the State of Michigan that many of the children identified with neurological impairments resulting from lead poisoning will need continued supports into and through adulthood. LDA understands that Flint is an extreme example of a problem that exists in many cities and towns across the country. 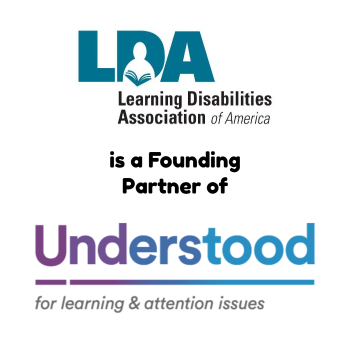 A key component of the LDA mission and vision is to reduce the incidence of learning disabilities for future generations. LDA actions to prevent situations like the one in Flint will help make this vision a reality. On December 10, 2015, President Obama signed into law the newest version of the Elementary and Secondary Education Act (ESEA), known as the Every Student Succeeds Act (ESSA). After eight years of deliberation Congress produced a bill that moves much of the accountability for student outcomes from the federal to the State level, while still requiring the same annual tests as in No Child Left Behind (NCLB). Now the hard work begins as States transition to new systems. To facilitate the transition, the U.S. Department of Education has issued several letters to state superintendents explaining what steps must be taken before full implementation of ESSA. For example, the accountability provisions of the law do not take effect until the 2017-18 school year, allowing States time to develop their systems. In addition, waivers granted to States under NCLB remain in effect through the current school year with an expiration date of August 1, 2016. Requests for additional flexibility will be accepted only from States that already have waivers. During the 2016-17 transition year, States are not required to implement the NCLB requirement for teachers of core academic subjects to be “highly qualified.” ESSA removes the “highly qualified” requirement and also amends the IDEA to remove the highly qualified definition. During the 2016-17 school year, States are not required to ensure special education teachers are “highly qualified” as defined in the ESEA. However, States must ensure during the transition year that special education teachers are fully certified as special education teachers, including alternative routes to certification, or have passed a licensing exam and hold the license to teach special education in that State. LDA has prepared a summary of key provisions of the new law, which will be posted after the national conference on the LDA website. Please check for this document, which helps translate a very dense law into easily understandable, user-friendly information. 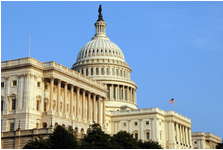 Congress adopted a new term in the recent passage of the Every Student Succeeds Act (ESSA), the reauthorized version of the Elementary and Secondary Education Act (ESEA). “Specialized instructional support personnel” (SISP) replaces “pupil services personnel,” and advocates for SISP intend the term to replace “related services” in the IDEA, as well. The new term was adopted a number of years ago by the National Alliance of Pupil Services Organizations, renamed as the National Alliance of Specialized Instructional Support Personnel (NASISP). By finding one term that aptly describes pupil and related services, NASISP wants to make clear to school districts these services should be available to all students who need these supports. The term was selected to indicate these personnel have specialized training to support the instructional process, resulting in academic and social/emotional success for all students. SISP is defined in the same way in ESSA as pupil services personnel in the earlier versions of the ESEA. The only change is the addition of school librarians to the list of personnel. The ESEA definition specifically mentions school counselors, school social workers, school psychologists, and speech-language pathologists, but incorporates by reference the list of “related services” under the IDEA. Other than school counselors and school social workers, more often than not SISP are not fully utilized to assist students in general education. With greater use of multi-tiered systems of support, SISP should be used to develop interventions and provide supports to students at risk. 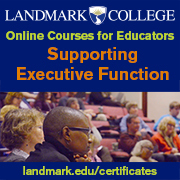 Using these personnel effectively will ensure students in need of special education services are properly identified and also will ensure general education students have access to appropriate services to help them succeed in school. Now that Congress has included SISP in the ESEA, NASISP advocates will begin meeting with congressional staff to discuss replacing “related services” in the IDEA with this term. SISP and related services personnel are the identical group of staff members, and using the same term will eliminate any confusion about who they are and the important role they play in the school team. Congress is moving forward on budget discussions for Fiscal Year (FY) 2017, which begins on October 1, 2016. FY 2016 funding was determined at the last moments of 2015 after several Continuing Resolutions to keep the government running until Congress could reach its final decisions. FY 2017 deliberations could be even more difficult, given the very short legislative schedule and the upcoming presidential and congressional elections. One bit of good news is that Congress will not have a fight on the total federal budget amount. As part of the FY 2016 deliberations, legislators agreed to another two-year budget deal to soften the effects of scheduled sequestration cuts put in place in the Budget Control Act of 2011. That deal provided the budget amount for both FY 2016 and FY 2017. Where the real fight is expected this year is on how that total amount is allocated among the 12 appropriations subcommittees. 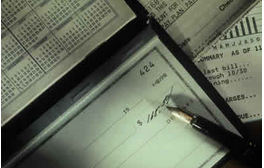 Each of those subcommittees provides funding for specific federal agencies. LDA follows most closely the Labor-Health and Human Services-Education subcommittee, which as its name implies deals with the majority of programs LDA members follow. LDA and its partner advocacy organizations will be urging the chairmen and ranking members of the House and Senate Appropriations Committees to provide a substantial allocation for Labor-HHS-Education. Regardless of the allocation, advocates for education and job training programs will have a tough fight, since there continues to be strong bipartisan support for large increases for the National Institutes of Health. It is hard to argue against these increases; however, large increases in NIH will leave very little room for more dollars in other programs. The president’s proposed FY 2017 budget will be released on February 9, which is the Administration’s wish list and does not have to receive congressional action. The House Budget Committee plans to consider its budget resolution on February 25 and will probably bring it to the House floor the following week. The Senate has not announced its budget schedule. The only part of a budget resolution that is binding is the total amount available for the appropriations committees to spend. Since that number was already decided last year, the budget resolution has less relevance than in the past. The rest of the budget resolution outlines congressional spending priorities, but again, those are not binding on how the appropriations committees choose to allocate funds. The bottom line is that Congress will definitely have to pass another Continuing Resolution as the fiscal year draws to a close. They will be out of session half of July and all of August and will leave again probably in late September to campaign. This schedule does not leave enough time to complete the appropriations process. How long the Continuing Resolution lasts – possibly into the next Administration – is the big question.